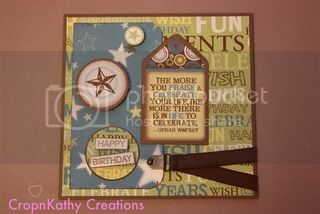 Here is a birthday card I made for my dad using all CTMH products. The majority of materials came from "Good Times" paper or myStickease. Enjoy and let me know what you think. Blog Candy from The Daily Marker Blog!